Controversial, risky, and illegal are the usual words used in the media in reference to Bitcoin. The revolutionary features of what could be the future form of money are clouded by bad press constantly thrown at it—so much that laypeople begin to negatively perceive Bitcoin, hindering their understanding of what this cryptocurrency truly is and of what it can provide. How many then would know that Bitcoin has long been immersed in charitable deeds? Beyond its success in the online gambling arena, Bitcoin is a newfound answer to the prayers of the less fortunate, bereaved, and in need. Bitcoin is not about the dark side of the Internet. 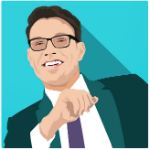 It should not be, and the increasing number of organizations dedicating their efforts to improve other people’s lives exhibits how Bitcoin becomes the tool for change. With a visible presence in redefining industries and sectors, Bitcoin also has charity work in its credentials. 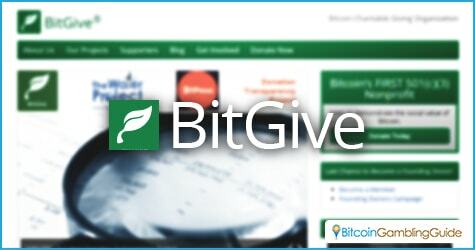 BitGive, for instance, is a charity group fueled by the digital currency. This organization, in partnership with The Water Project, made groundbreaking achievements after collecting over $11,000 worth of Bitcoin for the installation of a water well at the Shisango Girls School in western Kenya. 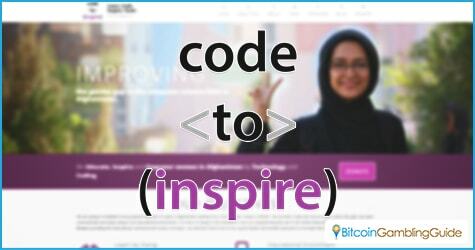 Code to Inspire, on the other hand, raised enough funds to establish a programming lab where women of Afghanistan are given the opportunity to empower themselves by writing blogs and earning revenue from it. Bitcoin became the most viable option for the underage women to receive money, given that the majority of them are underage. Apart from these two Bitcoin charity works, Bitcoin donations are also accepted in other organizations for various causes like Save The Children, Songs Of Love, and TunaPanda. Meanwhile, IT-related initiatives like Free Software Foundation and Tor Project are also among the organizations that benefit from the donations sent through their respective wallet address. Although media’s role as watchdogs are a given, it should still promote balanced reporting and must avoid sensationalizing the ill qualities and circumstances linked to Bitcoin. The Silk Road controversy exposed the public to the involvement of Bitcoin in the underground market while the Mt. Gox scandal further established the cryptocurrency as risky, unpredictable, and at some point dangerous. Add to these the rampant cases of Bitcoin extortion. Media’s highlighting of these incidents among others already stained Bitcoin’s reputation, which therefore had effects on the digital currency’s growth across markets. This is made worse by the less focus given to Bitcoin as a means for charitable works to push through. The seemingly biased representation of Bitcoin clearly plays a factor. Bitcoin is not yet perfect, but it is a step toward the future of payments—one that benefits stakeholders and certain causes. Bitcoin may have found success in iGaming as Bitcoin slots, poker, and other casino games continue to receive impressive following. But the sad reality is: Bitcoin may have to face more obstacles if it continues to be misrepresented to the public, especially those who are yet to fully understand Bitcoin. Fortunately, credible companies like Microsoft, PayPal, and Overstock have already exhibited their trust in Bitcoin by accepting it for payments, even more so by charities that provide assistance to the world.